Vous êtes ici : Accueil / Media Center / Non-payments in Italy : It is not over… Yet ! Non-payments in Italy : It is not over… Yet ! A steady improvement in firms’ payment behavior is expected, but payment delays remain very high across all sectors. 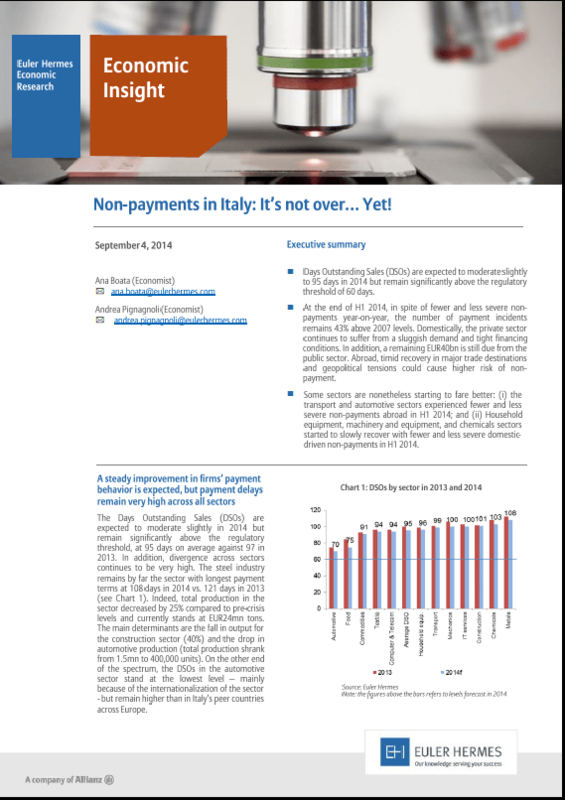 In this document, you will find the details of the key indicators for non-payments in Italy.